Why You Really Need To Play Winloot Right Now! 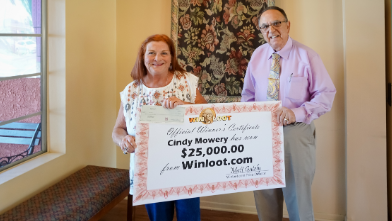 Winloot is a super-popular sweepstakes site with over 40,000 winners and growing quickly, including very recent $25,000 cash winner Cindy Mowery from Norwalk, California. 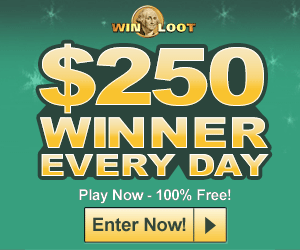 Winloot gives away a guaranteed $250 cash prize every single day and features a top giveaway of $10,000/Month For Life. Want a chance to win? Make sure to enter here now! Playing is 100% free and easy. Simply join with a valid email address (this is how we will notify you when you win) and pick your numbers. It is really that easy. Besides the $10,000/Month For Life game, you can enter to win giveaways like our $100,000 and $1,000,000 sweepstakes as well as dozens of other games including our $5,000 instant win sweepstakes! Go ahead and try your luck here right now! Regular players know that you can win many times. Edward D. of East Lansing, Michigan is a 13-time winner. Marshall A. of Honolulu, Hawaii is right behind him with a dozen wins. Play right now and see if you can get your first of what could be many wins! Some happy Winloot winners. You could be next! Have you heard the story about Patrick Acker of Woodland Park, New Jersey? Patrick hit the winning numbers, but we could not reach him by email or phone. Finally, after posting a message on our site that we were desperately trying to reach him, his daughter, also a Winloot player told him to contact us and we were able to get him his winnings. Play for $100,000 now! 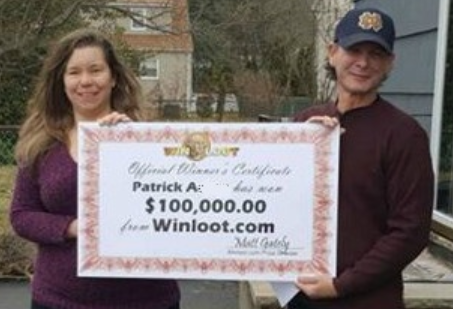 Patrick Acker, $100,000 Winloot sweepstakes winner! 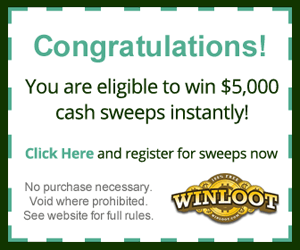 If you are excited about the chance to win a big cash prize, then I seriously urge you to check out Winloot right now. Joining (for free) takes literally seconds. Entering is super-fast, easy and fun. 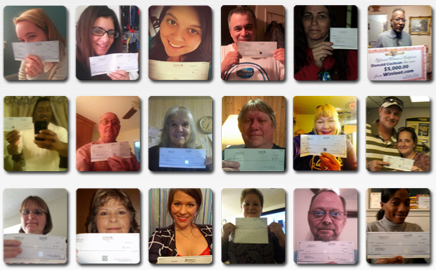 Do not miss out on a chance to be a major cash prize winner. Go ahead and try Winloot here right now. Winloot.com Blog Copyright © 2019.